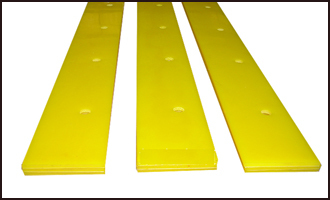 Polyurethane snow plow blades can be easily adapted to standard hardware. Incredibly durable, urethane snow plow blades nevertheless provide enough give to minimize damage to runway lights, cobblestones, decorative bricks and other roadway objects commonly integrated into concrete and asphalt surfaces. 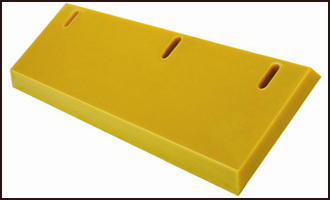 Polyurethane snow plow blades are designed to reduce vibration and feature two rows of slots so that both sides of the blade can be used, doubling its service life.